These parfaits are refreshing and decadent - truly the perfect treat for warm weather. I am finally obsessed with lemon in everything, so all my years of not being a fan means I have very few recipes saved up and I'm still not completely sold on full-on lemon desserts like lemon cookies or bars. 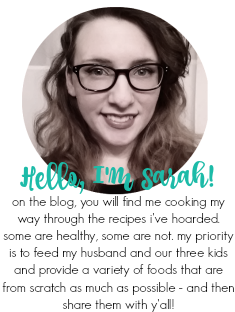 I am sure I will work my way up to them, but I am loving experimenting in the meantime. This sweet dessert had the perfect amount of lemon in it. These little babies were so addictive. 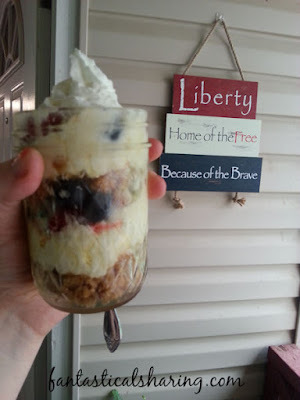 I made them way back in 2015 for the Fourth of July (with the addition of blueberries) since they were very festive and the citrus was perfect for summer. What I really loved was the element of crunch that the almonds added. 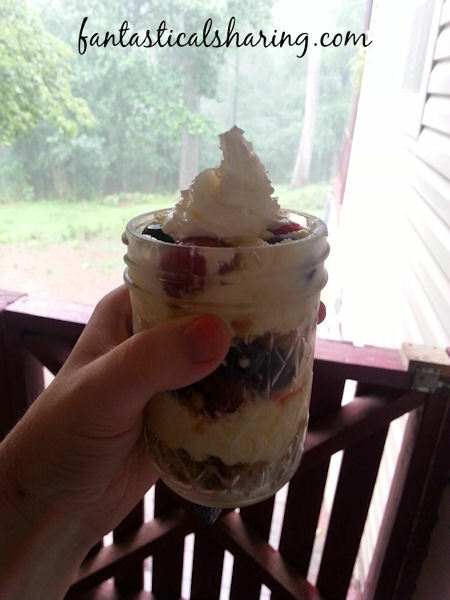 The nuttiness was just so perfect with the grahams and lemon cheesecake filling and berries. Heaven in a mason jar, folks. I also found out the hard way that late summertime afternoons do not shed very much natural light at my mom-in-law's, so I used her breezeway as my backdrop LOL. Except the one picture from my kitchen island. In a bowl, mix together graham crackers, brown sugar, almonds, pinch of salt, and melted butter. In a stand mixer or with a hand mixer, blend cream cheese and granulated sugar together until fluffy and smooth. Fold the Cool Whip and lemon pie filling into the cream cheese mixture gently. 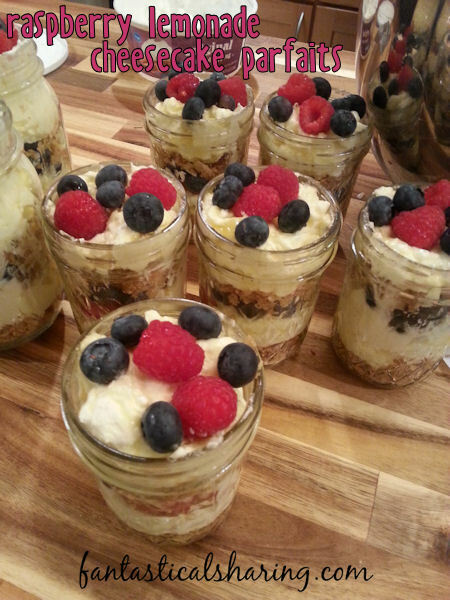 To build the parfaits, start with graham cracker crust, lemon cheesecake filling, then berries, and then repeat layers once. Note: I made 6 half pint mason jars and two pint sized mason jars from this one recipe. The half pints were perfect portion sizes!